Today's the day, people. If you've been waiting to get your hot little hands on a shiny new Samsung Galaxy S10, you can! After weeks of waiting Samsung's new flagship range is available now. Anyone who pre-ordered should also start receiving their units from today - although some people who went with Kogan or Harvey Norman may have already received theirs. If you need a pricing reminder, the S10 comes in three sizes. Down on the entry-level end of the spectrum we have the S10e, which has an RRP of $1,199 for 128GB storage and comes in Prism Green, Prism Black and Prism White. Going up to the S10 you're looking at the same colours but it will have both 128GB ($1,349) and 512GB ($1,699) storage options. 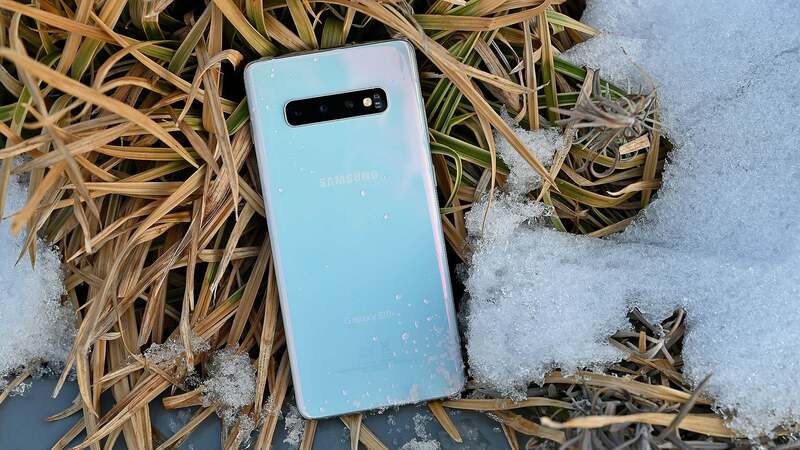 The entry-level S10+ will have the same colour options again for its 128GB ($1,499) model. The 512GB ($1,849) will be available in ceramic black or ceramic white. 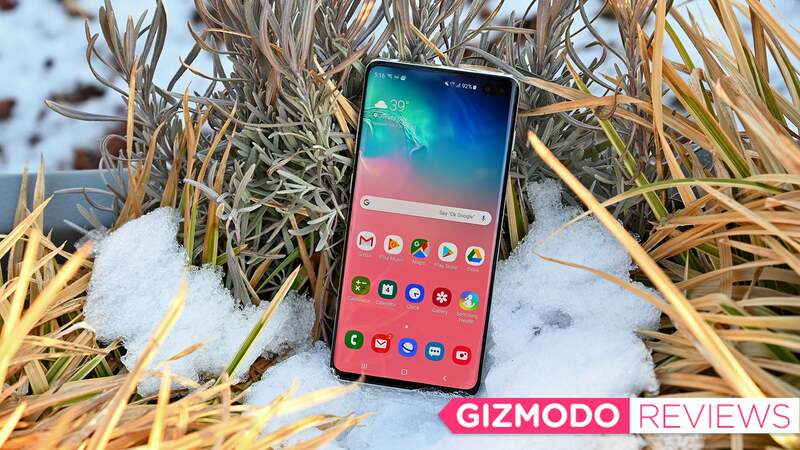 But if you're looking for the most specced up option, that would be the 1TB Samsung Galaxy S10+. It will also come in ceramic black or white and is coming in hot at $2,399. If you're in need of a full spec breakdown before you make a decision, we can help you there. Just remember that the Samsung S10 5G isn't available yet, but we'll let you know when it is. Besides the differences in screen sizes, biometrics and some of the internal specs, the standouts here include the significant difference in battery life between the S10e and S10 (which have 3,100mAH and 3,400mAh, respectively), compared to the 4,100mAH that the S10+ is bringing home. 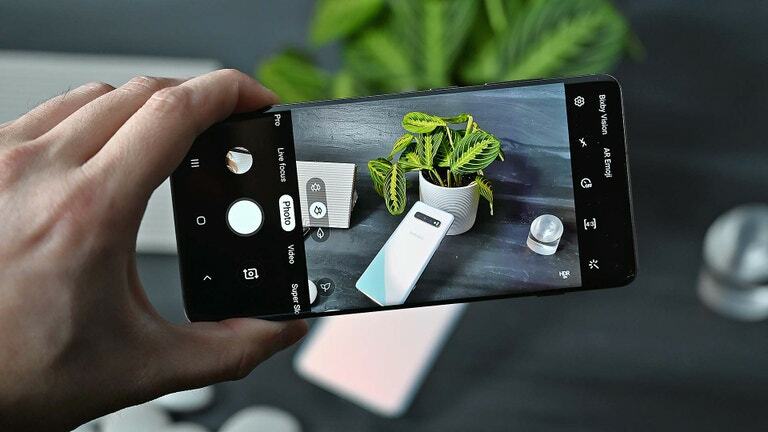 The S10 and S10+ also have three rear-facing cameras (12MP telephoto, 12MP wide-angle and 16MP ultra-wide) and two 10MP front-facing cameras compared to the S10e's single selfie and dual 12MP (standard and ultra-wide_ setup. If you're not so keen on buying outright, there are plenty of telco plans to choose from. We have almost all of them broken down below. Or you can check out some of our top picks. Note: The Vodafone widgets exclude the telco's loyalty discount, which you may be eligible for! It's important to note that Vodafone also has 12-month and 36-month options, which you can view on its website. Woolworth will also be offering a 36-month options.